Like most families, we love pizza and often have a designated ‘pizza night’ for dinner. Summer is no exception to the rule, we simply move out side and turn to Grilled Pizza for a little change in the flavor combination. Have you ever grilled pizza? If not…you have to try it! It’s simple, delicious and just fun to make. We’ve been eating this for many moons, but the first time we tried the kids (and I) were certain it would seep through the grates on the grill, but it didn’t & it quickly became a yearly treat! I always start by crushing a large clove of fresh garlic into 1/8 cup of light olive oil per pizza dough. Simply stir and let the flavors soak together while you prep the rest of your ingredients. Roll the dough out. I always roll mine directly onto a floured pizza round surface with my mini roller from Pampered Chef…it’s just what works for me! Turn the grill on; medium heat. Lightly baste the one side of the pizza dough and place it, basted side down, onto the heated grill. NOTE: the grill must be hot before adding the dough. Baste the top side of the dough while the bottom side is cooking. 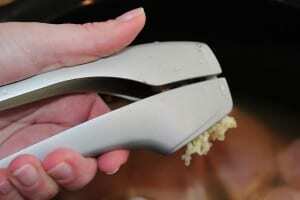 Flip the dough. Baste the grilled side again, add salt & pepper and your other toppings. 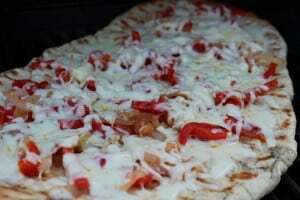 Toppings we used for this pizza = freeze dried basil, sliced tomatoes and mozzarella cheese. 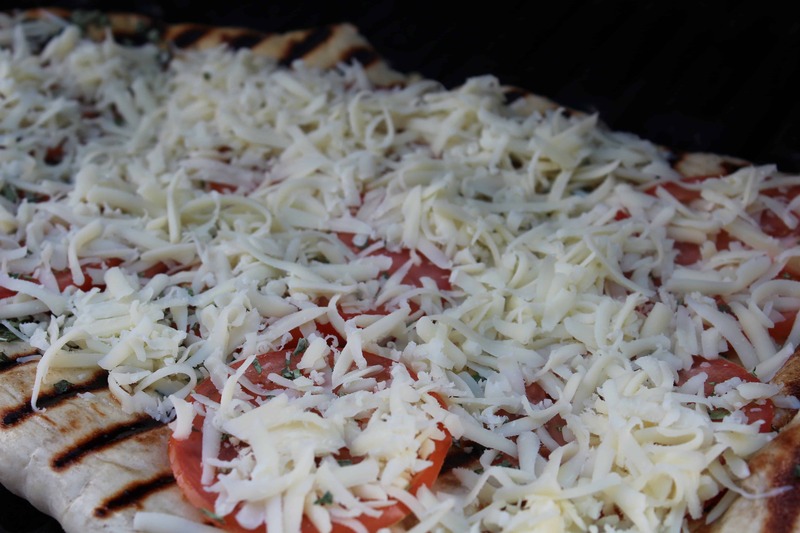 I often turn off the grill, close the top & let the cheese melt the rest of the way once all of the toppings are on. The other night we made two different flavors of grilled pizza. The second one was topped with sautéed red bell peppers, vidalia onions, salt, pepper and freeze dried Italian seasoning. There were a few slices left at the end of the dinner, but they were quickly eaten for lunchtime left-overs the next day! 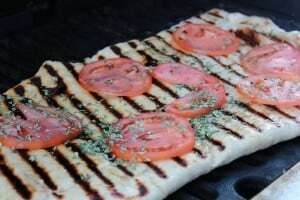 I have never considered grilled pizza before! Thank so much sharing, I think we will have to give this a try soon! And thank you for linking up to Totally Pinworthy again! HI Thanks! Hope you enjoy…it just switches up the flavor by grilling it; great summer fare! This looks fantastic!! I would have never thought to grill pizza! Found you on the link party at Reasons to Skip the Housework! Hi ~ thanks for stopping by! Don’t you just love the name ‘reasons to skip the housework’ 🙂 I’m all over that – LOL! This does look yummy! Thank you for linking up with Simply Better. Thanks for stopping by! Hope you have a great weekend..
this looks sooo yummy! i haven’t made pizza from scratch in a while. thanks for linking this up to tip-toe thru tuesday! Hi! Thanks for stopping by 🙂 ~ we love it on the grill too & look forward to grilling season every year…have a great weekend! I just discovered grilled pizza this summer – we’ve made it twice – so good both times!! Maybe white pizza on the grill will change your mind 🙂 Have a great weekend & thanks for stopping by! Hi there! Thanks for hosting 🙂 Love connecting with so many awesome bloggers! thank you for the tutorial! I’ve always wanted to learn how to make my own pizza! What a great idea! I’ve never tried grilling a pizza before and we LOVE pizza in our house. I’m visiting from the Friday Chaos Hop – old follower just saying hi! Hi Lauren – Thanks! And, thanks for swinging over for a visit 🙂 Hope you had an awesome weekend! You’re making me hungry! That looks so good! Thank you for linking up at The Little Giggler! Love – Love – Love Pizza at our house! We’ve never tried grilling it but I have heard it is wonderful! Thank you for sharing at All My Bloggy Friends last week. I can’t wait to see what you share this tomorrow! Hi Jamie! Thanks – we do a lot of creative things with pizza! Somehow it became a weekly staple – LOL! I have never grilled before but I may have to try it because this looks so good! Thanks for sharing at Gettin’ Krafty! I have always wanted to try grilling pizza. Somehow, I just have never gotten around to it. This sounds very easy and tasty. Love tomatoes, basil, and mozz. 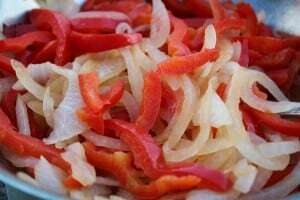 Also love peppers and Vidalia onions! Thanks for sharing with Share Your Cup. This pizza looks so good!! We have homemade pizza every Friday night. We should really try this sometime. I’m glad you linked up to Take it on Tuesday! Wait, I cannot fathom it being so sthfogrtairward. Thanks for stopping by! Hope you enjoy it…have a great rest of your week. So love this idea to do pizza on the grill! We are definitely going to try this out before winter hits and we retire the grill. Thanks so much for sharing! Blessings! HI there! THANK YOU & definitely squeeze it in before the grill goes into hibernation, it’s worth it…. You need some sort of leavening. Baking poedwr can be substituted with other pantry ingredients. Keeping in mind that a chemical rise dough is a biscuit dough (like UNO thick crust). 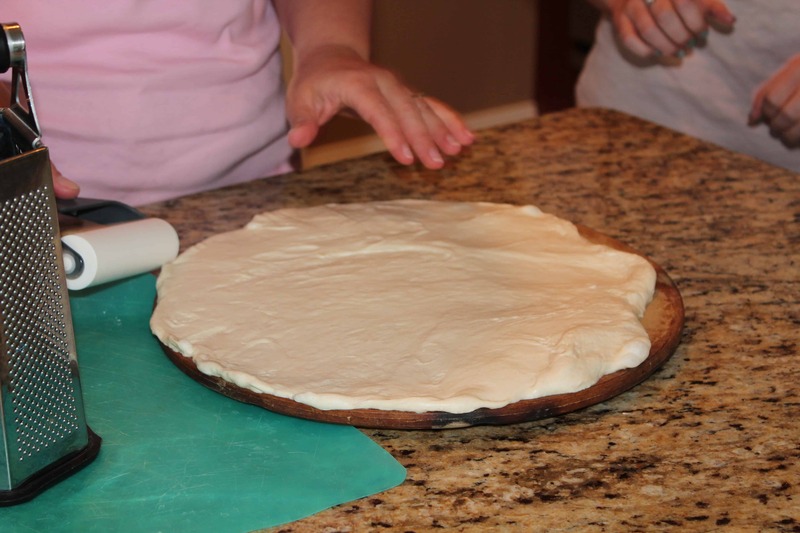 You can make a biscuit dough with baking soda and cream of tartar or baking soda and buttermilk.If you have none of these, then all you can make is a unleavened bread and it is not the best base for a pizza but it can be done. Here’s what to do if you do not have the aboveMake the dough as you would for pizza but with twice the oil.Roll out unleavened dough very thin, (1/8 ) to make a cracker type crust, no larger than a dinner plate, for strength, since they’re thin.. Prick the crust all over with a fork, lay out on an oiled cookie sheet with cornmeal to stop sticking.Precook a little in a 300degree oven til set but not brown,Cover with toppings and bake in a 400F oven til toppings are brown.